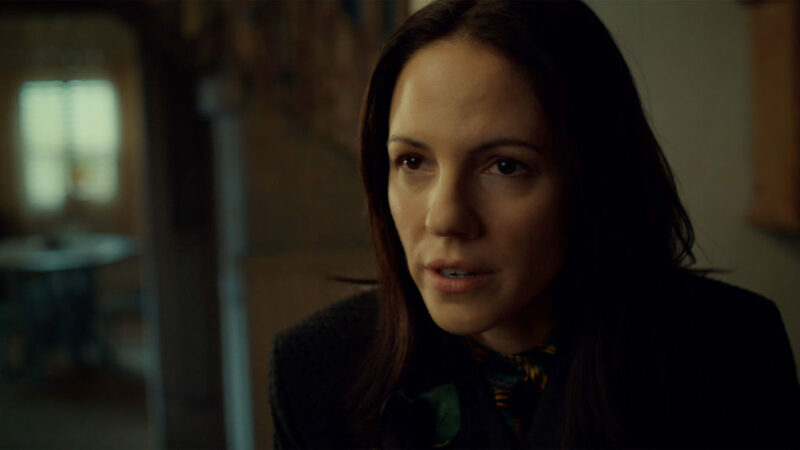 I will freely admit seeing Anna Silk (Kevin) made me squeal with glee and after this review I have a strong desire to binge watch all of Lost Girl (I can do that in a day, right?) Now if we could get Ksenia Solo to make an appearance my life would be complete. 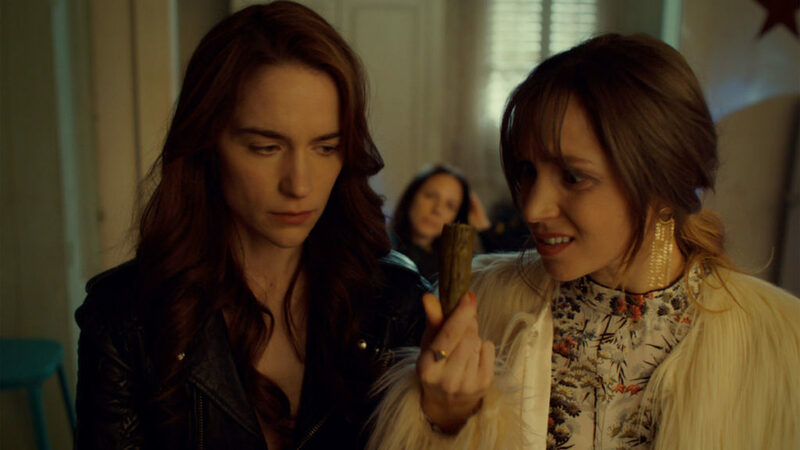 What I love (and hate) about getting questions answered in Wynonna Earp, is that the answers lead to so many more questions. A lot of information was dropped on us this week—like wow, I need whiskey just to cope with this show. Not to say I didn’t like it—like many of my favorite episodes this week blended moments that were laugh-out-loud hilarious, with info bombs that punched me right in the gut. 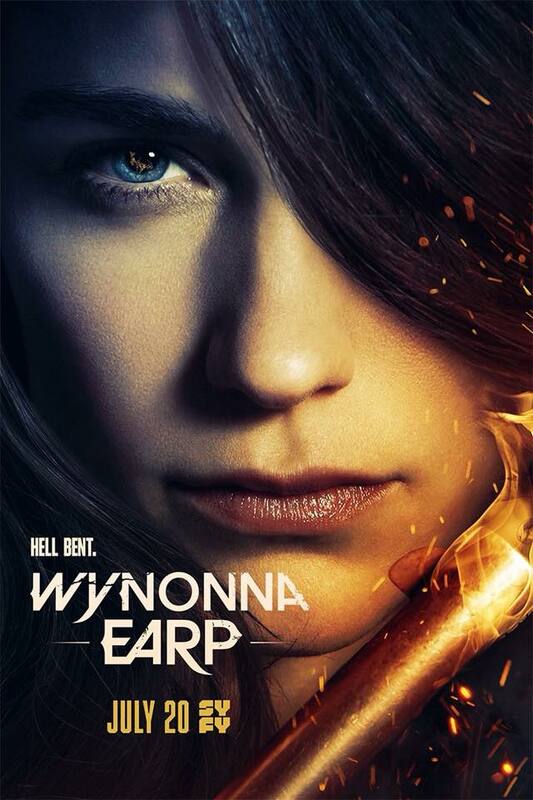 The show is not above killing off the main cast (RIP Dolls, still not over it), but I am optimistic that Waverly won’t be turned to stone. 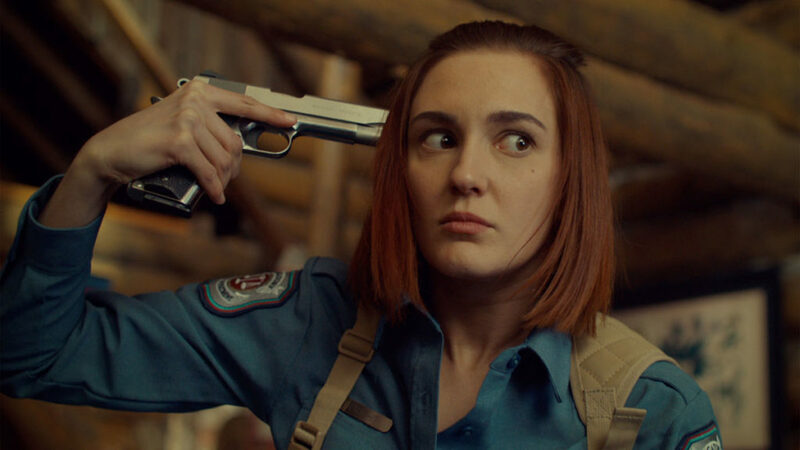 First, WayHaught Earpers would revolt and I think we would be strong enough to will ourselves into the story and reverse time to save her. Second, she is only half angel which to me means it is a fifty/fifty chance she will turn to stone. I also feel this may be leading up to the ol’ deus ex machina plot device—we know Julien is somewhere in the world… maybe Mama Earp will be dragging him back just in time to save her daughter? Then there is Jeremy—wonderful (with amazing calves) Jeremy. His brief possession by Maeve revealed that he isn’t one hundred percent human. So what else is he? Is Black Badge behind him being more than just human? We know they liked to experiment, so who knows what they could have done to him. Does he remember what happened while he was possessed? Nicole didn’t seem to, but she isn’t supernatural (that we know of yet). I feel this is kind of a big deal and I can’t wait to find out more about this. 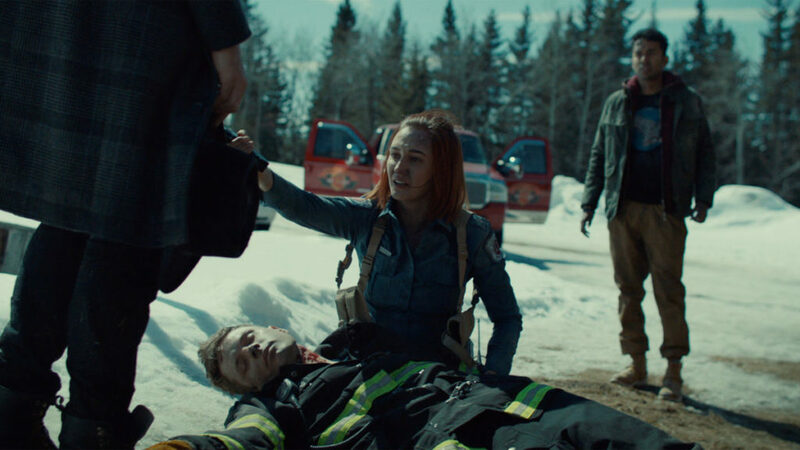 Wynonna Earp loves to kick Wynonna when she is down, but I think Doc is right there with her. I don’t think Maeve is gone, I think she is in Doc. I know she said she wanted a human body but faced with no alternative and Doc being undead she may have gone for him rather than being destroyed. I say this based only on that smile Doc gave as he walked away. 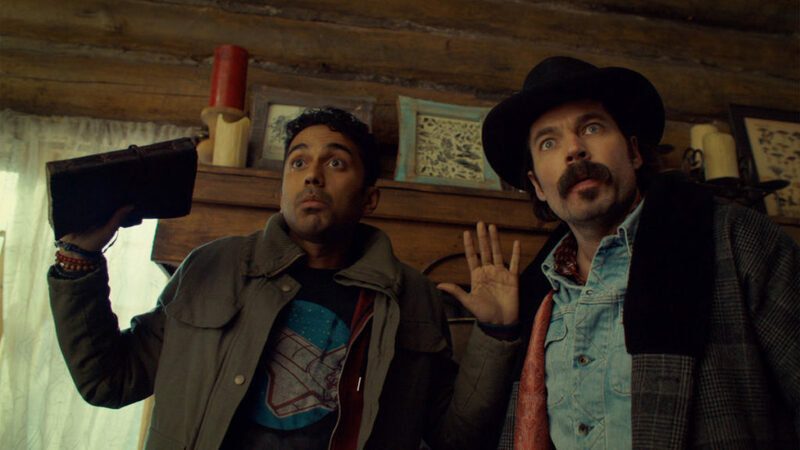 I mean it could be that he was happy he ate Charlie but knowing how it would affect Wynonna I kind of doubt it. Thinking back to when Waverly was possessed, she didn’t know it at first and they had a symbiotic kind of relationship for a while. I’m guessing the same thing could happen with Doc and Maeve. Also, why did he not just escape through a window or break down a door with his vampire strength? I guess Maeve’s witchy powers could have trapped him, but how was he separated in that tiny cabin from Nicole and Jeremy? There is a lot that we didn’t see and that doesn’t make sense (yet). Now let’s talk about the flashback with Maeve, Bobo and Juan Carlo. He said he had to get Peacemaker to Earp before the eclipse and we see a blade not a gun. We have angels, we have the Garden of Eden and we have Bulshar as the serpent. I think Peacemaker was made from the flaming sword that was created to protect the Garden of Eden. So, the story goes, after Adam and Eve were expelled from Eden God placed some Cherubims– Angels if you will– East of Eden to protect the Tree of Life. Now God didn’t just make them hang out without arming them, God gave them the Flaming Sword (a sword that also has some flames); if you want to know more about that, watch season two of Lucifer on Netflix or read my reviews. BOOM! Cross referencing myself and people though all those Humanities classes I took were a waste of time. So yeah, the Flaming Sword was melted down and created Peacemaker—that would totally explain its glowiness. Damn I love when shows bring in mythologies! Eek! I am so excited to see how all this plays out, I cannot wait for next week—but my planned Lost Girl binge should help.